This is quite large, sorry. Right now I’m editing a 100 page Chinese scroll in the yogacara bhumi sastra, well in english it’s past 300 pages so far, since font is set up for large typeface for easy reading. It’s a course translation very rare and I’m nearly done. It’s a teaching on the practice of dana; particularly emphasis is to reach out to ease the sufferings of those in great suffering, and to the hungry ghosts (preta) and those unfortunates abandoned with no family, deceased from violent or suddent means, unborn deceased, and many others. In the near future I’ll work on my vinaya translations and I’m looking for the commentaries in the chinese to be my next huge, pretty sure it will be huge number of scrolls on this. And of course I’ll finiIsh up the other schools translations as part of that work. I heard from other scholars there are 4 or more versions of abhidharma in that Chinese collection and look forward to seeing all in english one day. Buddhanet.net has a large pdf collection of all the traditions sutras and many short courses for self-study. Free Dharma Texts (you pay the postage they list that’s all) – note all schools listed and most Chinese temples have them all in their librarys and to give away. An absolutely huge collection of various masters works translated into english – explore others on the sidebar besides Han Shan’s poetry. Ok, so this is some of my links, should be a good start for those interested in looking up interesting bits about Buddhism and serious scholars alike. Previous Post Rise Up! Evening Service is out! 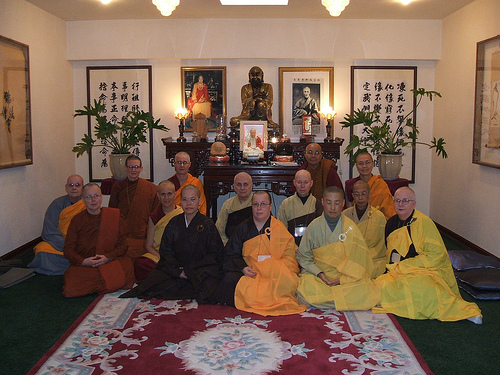 Next Post Wow Finally Found some English Dharma talks that don’t flinch!